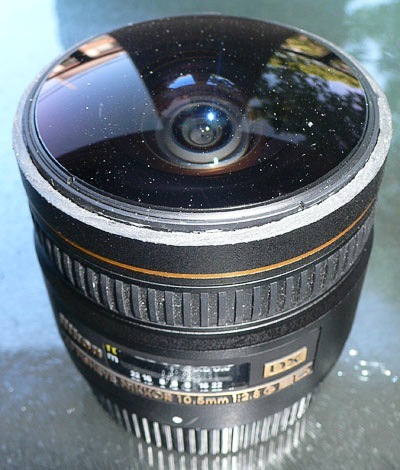 This post is just a public service announcement… I LOVE these Sony A7 series cameras for shooting panoramas. I actually photographed this one with my trusty Nikon D800 and 50mm f1.8 lens, my former love. We have plenty of A7R’s and the odd A7S. They’re light weight, well made, very high quality in every way, and not very expensive (relatively speaking.) The bodies are also identical, so anything we build/buy for the A7R, works perfectly with the A7S, what a brilliant concept. 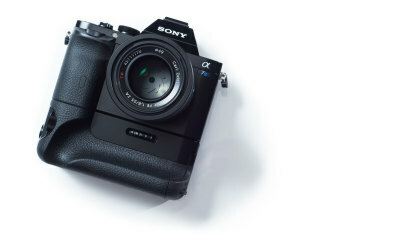 Of course the A7II is out now, and has changed the body a little, but I expect the next cameras in the A7II series to again be identical. Here’s hoping. There’s not much that annoys me more online than having to sign up unnecessarily for free services. I went as far as to make a [complete website](http://uselessaccount.com/) making fun of the experience. 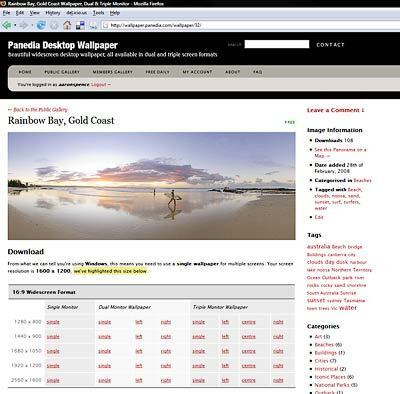 When we began planning [Panedia Desktop Wallpaper](http://wallpaper.panedia.com) one of the first decisions we made was paid members would be the only user that required sign up, if you want free content, you could get it without barrier. If you have an account, you are a paying customer. At first the sign up process instinctively included email confirmation for accounts. As internet users we’re highly trained in this procedure — sign up, refresh email, click confirmation link, account activated. As a developer who’s implemented sign up systems multiple times, creating a sign up system around email confirmation wasn’t something I questioned. Until new users weren’t getting confirmation emails. We knew this would happen, with spam filters having no reason to trust us, users not checking spam folders, server side filters and plain human error. The best we could do was tell them to check their spam and add the question to the FAQ, I mean, we *need* email confirmation, right? Wrong! Accounts at other online services required email confirmation as a layer of protection against robots signing up for multiple *free* accounts. We don’t have free accounts, our barrier to robots is *money*. We dropped email confirmation, removed an extra step from the cumbersome process of signing up and made our lives easier by not having to deal with lost confirmation emails. Last week Ben Scheirman over at the Flux88 blog did a quick review of an important feature on our Wallpaper site. 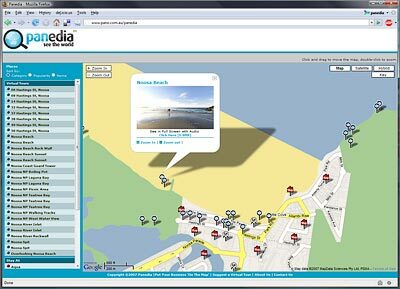 He noted that we read user information from visitors to wallpaper.panedia.com and customise the site to their needs as best we can. This feature started as a simple concept that grew to become a very useful aspect of the site. 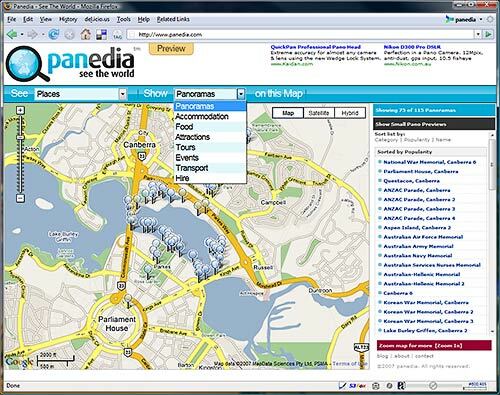 We have plans to further extend this type of functionality over time. Thanks Ben. With Panedia Wallpaper I’m introducing the first of many products and services to come out of the huge Panedia panoramic content library. The site has been up for a few weeks testing in narrow release, today we give it the official heave ho into wide release. (Tell your friends about it Panedia Desktop Wallpaper contains over 40 wallpapers at present, with a ‘Free Daily’ wallpaper being added every day. The daily wallpaper update is available free for 24hrs only, before it goes into the members gallery. There is also a public gallery (free) which is added to monthly. Each wallpaper on the site is available in 16 sizes from 800×600 to 2560×1600 for single, dual and triple monitors in the 3 common ratios 4:3, 5:4 & Widescreen (16:10). We produce 130 separate images for each wallpaper to provide all the sizes for MAC and PC computers. Members (paid) have access to all wallpapers at all times, plus the master files used to generate the wallpapers. With these files members can cut up their own wallpaper sizes, for up to 4 or 5 monitors. 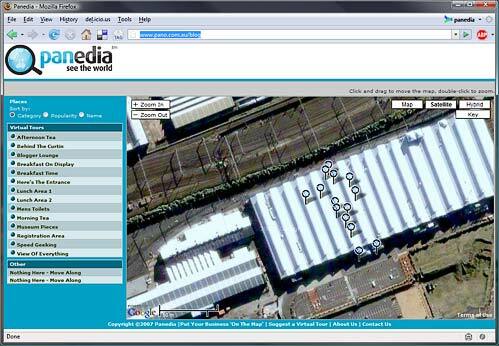 We’re working on tools to enhance this capability in the short to medium term. Members can also use Panedia Wallpaper as a form of Service, I’ve called it WAAS (Wallpaper As A Service) for want of a better term, whereby they need not horde images on their computers for wallpaper. 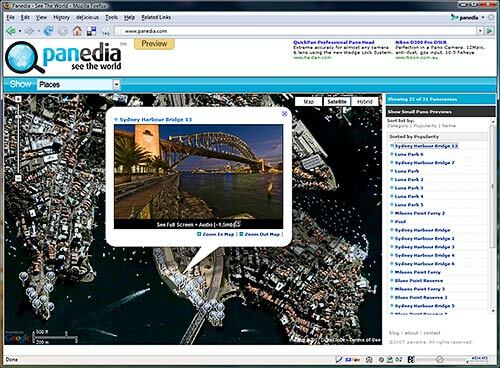 A member can access the site at any time from any computer and download the exact size image(s) they require. 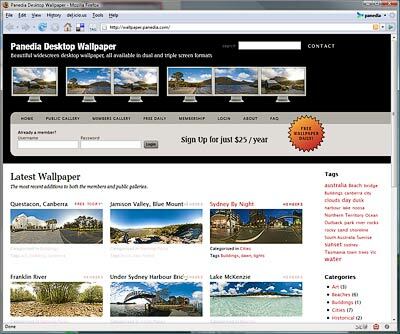 Using the ‘Set As Desktop Background’ function of Internet Explorer, Firefox or Safari the wallpaper image is then set as the computer wallpaper. VERY quick & VERY simple. Each of the wallpaper download pages link into to our pano/maps site maps.panedia.com to provide a virtual tour view & show where the image was photographed. 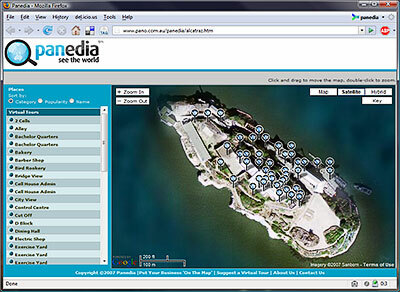 Eventually users will be able to link back and forth on a single panorama between all the Panedia sites depending on what they require. 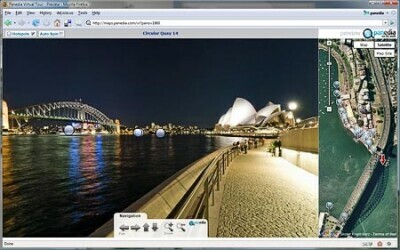 Panoramas, Virtual Tours, Maps, Wallpapers plus more. Finally there are RSS feeds to the galleries & Free Daily Wallpaper to make grabbing the images you like easy, and we’re in the process of setting up some interesting competitions to allow viewers to win subscriptions and more. Please have a look at the new site, and let us know what you think of it, as the site will evolve according to the feedback we receive. We’d particularly like to hear from you if you have any difficulty with any part of the site. Aaron Spence CEO & Lead Photographer. 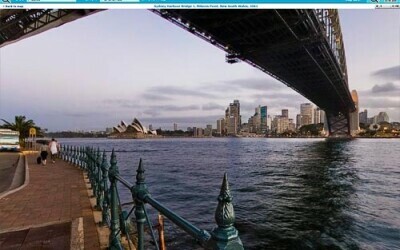 G’day one and all, I apologise for the lack of Virtual Tours lately, but the drought will continue a while longer. Today I’m on a plane to San Francisco for 2 weeks. I’ll be shooting a lot and spending time at the IVRPA (International VR Photographers Assoc.) conference. In the meantime, you can check out the 200 – 300 panos on my website to satisfy your hunger If you’re in San Francisco or LA and want to catch up, please send me an email or leave a comment. 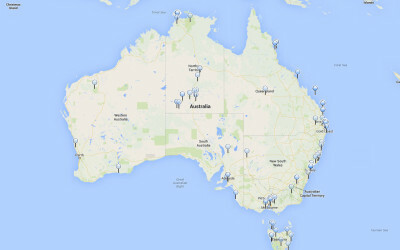 Rather than put the Google Developer Day 2007 Virtual Tours in my blog, I’ve used my VR/Maps application to put all the VR’s on a map. Of course the event happened inside a building, so I’ve placed the VR markers approximately where those things happened inside the building. You MUST view the Fullscreen versions to get any appreciation for the very cool building the day was held in. 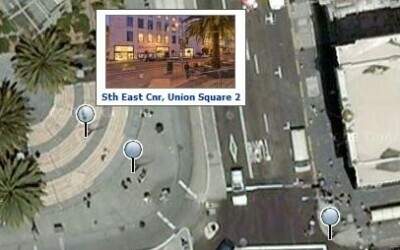 Click this image for the Virtual Tours.